Choosing the best software for running a small business can be challenging. It’s very important to select the right tools to serve your business needs but because there are so many choices, it can be overwhelming. Sometimes you can select the wrong tools or go overboard and end up using too many tools. You could also try the software out and only after using it, decide that it’s not serving your business needs. This can be a big time waster because you’ll have to start from scratch with another tool or software application. It also might involve transferring data from one tool to another which takes you away from the things you really need to be doing to grow your business. As part of our effort to help people grow their businesses and reach more customers, we would like to share with you some of the best software for running a small business. These tools have helped become more efficient, grow our business and reach more customers! Below we share our favourite efficient and affordable tools to help you run your new freelance or startup business which includes a website content management system, SEO tool, newsletter and mailing list tool, accounting software, CRM database, and open office software. If you’re in need of a website or platform for publishing content than WordPress is the easiest to use tool out there. It powers one in every six web pages! WordPress is incredibly flexible and scalable. It’s inexpensive compared to many website platforms as you don’t have to pay expensive monthly fees. You can use a designer to help you design your website or blog on WordPress. You can also get a free or premium theme and design it yourself but it can be very time consuming and not everyone is a designer! It’s important that your website is mobile-friendly, looks professional and is easy for your potential customers to navigate. Many small businesses decide not to invest in a professional designer for their website resulting in a poorly designed, hard to navigate website. Your website today will need to look great on both tablet and portrait views on smartphone and tablet, as well as on laptops and desktop computers. Get in touch with us to learn more about WordPress and to see how we can help you with a mobile-friendly website for your start-up business or helping you upgrade your existing website. The Yoast SEO plugin can be installed on WordPress and is used to optimise your website pages and improve your search engine ranking. It has an easy to use form and guide that you fill out for each of your websites pages and blog posts to make sure they meet requirements of search engine algorithms used by Google & Bing. We use MailChimp which integrates with our mailing list opt-in tool on our website. Anyone who signs up for our mailing list on our website is added to our MailChimp database automatically. We then use our custom designed newsletter templates in MailChimp to send out emails and monthly newsletters to all of our mailing list contacts. It’s free to use for up to 2,000 contacts and 12,000 sends. We can design a custom MailChimp template and help you set up a mailing list opt-in on your website. Just get in touch and find out how we can help you stay in touch with your customers. One of the best investments in your new startup business will be accounting software to help you easily manage the financial end of your new business. This is a task that many new freelancers and startups find to be the most difficult so it’s important that you get a software that makes it easy. One of the best online accounting software available is QuickBooks accounting solution. With QuickBooks, you can easily create and send invoices from anywhere, take snapshots of receipts, connect directly to your bank account, estimate tax, complete HMRC self-assessment, sort business and personal transaction and track mileage transactions. Their basic package for freelancers starts at $6.00 per month with promotions often offering discounts. They also offer a more advanced package for small businesses. You might decide you want to go with a free financial or invoicing tool because they are available, but keep in mind that this solution might not grow with your business and might not offer all of the features of a paid version like QuickBooks. They also might not be able to provide the HMRC self-assessments or other tax features. A great free option for small business owners and freelancers and one we also use is Capsule CRM. It’s great because it can scale with your business. It starts out with two users with 250 contacts for free and you can upgrade to the professional version for $8.00 per month per user and up to 50,000 contacts. If you want to avoid the cost of Microsoft Office for Windows PCs or iWork on Macs, you can use open software from Google like Google Docs, Sheets and Slides. For more robust features similar to MS Office or iWork you could also use the Open Source LibreOffice software for creating documents, spreadsheets or presentations. The great thing about these cloud-based office solutions is that you can easily collaborate simultaneously with clients or other members of your business. It makes it much easier than using tracked changes and sending documents back and forth over email. Do you have a favourite app, tool or software that has helped you with freelance work or running a small business? Please comment below and let us know what apps, tools or software have helped you the most! Have you added an SSL certificate to your website yet? Adding an SSL Certificate benefits your business in many ways. It can improve your website’s security and protect your customer’s data. In addition, it can improve your Google search ranking and also ensure people can still visit your website. Below we go into more detail on the benefits of adding an SSL Certificate to your website. An SSL certificate adds a layer of protection to your website in order to protect it from hacking. It encrypts and secures data on your site. Think of it as sealing a letter in an envelope prior to posting it. When you add an SSL, your website address will start with HTTPS instead of HTTP. This added ‘s’ gives visitors to your website more protection against hackers. You can also improve your Google search ranking by adding an SSL certificate to your website. Google is now prioritising websites that have SSL certificates in their search results so, adding one can give your ranking a boost. 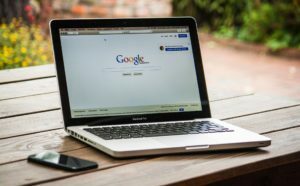 SSL certificates give websites more security and protection, therefore, your site is considered safer for visitors, so Google is prioritising them. Google has recently announced they will be flagging websites without SSL certificates in their Chrome web browser. If your potential website visitor is using Chrome and visits your website, they might get a message that your website is not safe. This will mostly affect websites with contact forms where visitors are required to enter data. They could decide to flag other websites without contact forms in the future. The new General Data Protection Regulation being implemented in the UK in June 2018 might affect their policies in this area. We can help you set up an SSL certificate on your website if you’d like to improve the security on your website. We can arrange the purchase of your SSL certificate through your hosting provider and get it all set up for you! Get in touch to see how we can help! Make it easier for your customers to find you with a free Google Business Listing which is connected to Google Maps. It’s a great way to make it easier for your potential customers to find you. We can help set you up with an account! We can start a new account or help you update your existing listing! Find out in our article below how a free Google business listing can help your business! A Google Business listing will make it easier for your customers to find you when they perform searches on Google. The Google Business Map results show at the top of the search results page. If someone searches for ‘Web Designer Edinburgh’ for example. These listings are separate from the normal search results on the page. If your website’s ranking isn’t great and you’re not appearing on page 1 of Google then it will help to create a Google Business Profile. This will give your customers another potential way of finding you. Once you’ve signed up for a free listing, you can try to improve your ranking so that you appear at the top of the results. For example, when someone searches for your service (ie Web Design Edinburgh) you will be at the top of the list for web designers in Edinburgh. It will also depend on where your potential customer is performing the search. The closer they are to your location, the closer to the top you will appear when they search for you. Your Google Business Maps ranking is also affected by other things including how well developed your profile is. It’s also affected by how often you post to your Google business profile. Complete your profile fully and add images of yourself, your logo, or any other images you want to share. Make sure you link to your website and other social media accounts as well. Your ranking in Google Business Listings/Maps is also determined by how closely your business name matches the keywords that are being searched for. If your business name is Edinburgh Website Designers and potential customers are typing Edinburgh Website Designers, then you will appear closer to the top of the results, however, there are other factors that determine your ranking as well. How many customers have left you reviews will also increase your ranking, as long as they’re good reviews with 4 or 5-star ratings. The businesses with the most 5 star reviews will appear towards the top of the search results. While good reviews can improve your ranking, bad reviews can also harm your ranking. If you are left a bad review on Google or anywhere on the internet, it can affect your search ranking and your business’s reputation. If you do receive a bad review, make sure you respond to the bad review online and resolve the issue so that people can see that you dealt with the issue in an appropriate manner and didn’t just ignore your customer. We can help set you up with a Google Business listing or improve your existing listing. Please get in touch to discuss your requirements and let us know if we can help! To stay ahead of your competitors, starting and regularly writing a blog helps you improve your Google search ranking. You can also share your blog through your social media accounts and on forums, building links back to your website which also improves the overall ranking of your business on the web. If your website includes a lot of information that your target audience finds helpful and the more your content fits their needs, the more likely they are to find your business! A blog helps to establish you as an expert by providing helpful informative content to your target market. You’ll be able to share your expertise locally with your current and prospective customers which will increase your chances of reaching new customers and retaining existing customers. Your blog will also give you opportunities to engage with your audience and encourage interaction and conversation with your customers through commenting and feedback. You can engage through setting up a mailing list and sharing your blog posts in an email newsletter. Once you write a blog, you can share it on your social media networks or in an email newsletter, which will also help to improve your overall online presence. It can help to retain existing subscribers and followers and also attract more customers! To learn more about blogging to improve your business, check out this Introduction to Business Blogging from Hubspot. We can add a blog to your existing WordPress website, provide you with an easy-to-use template for posting your blogs and provide guidance on how to easily post blogs yourself. We can also post blogs for you as part of one of our monthly WordPress Assistant packages. We can also include a blog as part of a new website package. 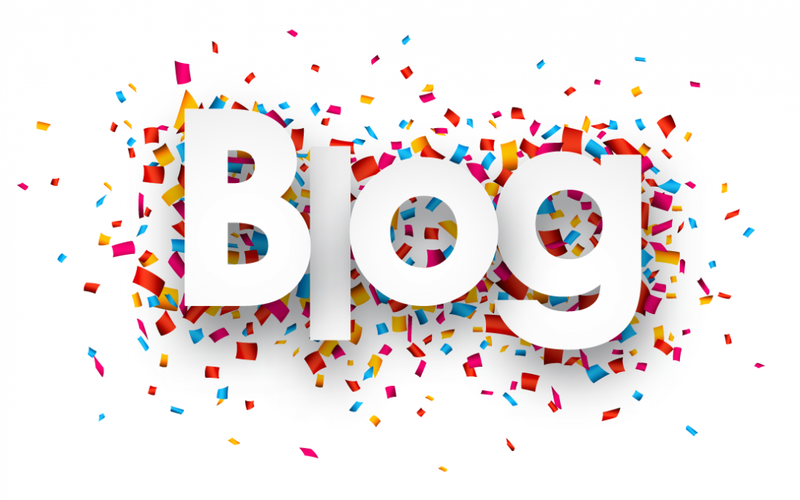 To find out more about how a blog can help your business just contact us for a free consultation to discuss your website or blog requirements!